The firm is actively filing Mirena IUD lawsuits on behalf of women who suffered serious Mirena side effects allegedly as a result of implantation of the device. Mirena IUD lawsuits are making progress in federal court in New York. Recently at a status conference, the court continued to focus on the consolidation of pretrial proceedings, such as document discovery, as part of the multidistrict litigation, according to court documents. The Rottenstein Law Group's Mirena lawyers maintain the Mirena IUD Lawsuit Center, which has more information about Mirena lawsuits and side effects. There are now about 120 pending Mirena lawsuits in the consolidation, according to court documents (In re: Mirena IUD Products Liability Litigation; MDL-2434, U.S. District Court for the Southern District of New York). The U.S Food and Drug Administration has received more than 70,000 adverse event reports regarding the Mirena since the IUD’s 2000 debut, according to court documents. The complaints centered on a few potential side effects, including device migration and uterine perforation, both of which could involve the IUD becoming embedded elsewhere. The Mirena IUD is a plastic intrauterine device that is implanted in a woman’s uterus for five years, over which time it slowly emits a dosage of progestogen to prevent pregnancy, according to court documents. 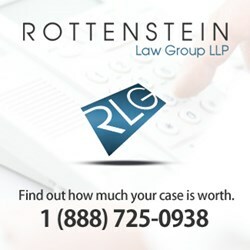 The Rottenstein Law Group LLP encourages those with the Mirena IUD to download a free informational brochure that features details about the device and explains implantees’ eligibility to file.